Truth by Kbaig: Pakistan Army Under Severe Criticism Internally and Externally…! Pakistan Army Under Severe Criticism Internally and Externally…! In the tragic incident of suicide of bomb attacks in Charsada, outside Training Center of Frontier Constabulary on 12 May, at least 80 soldiers were martyred and the same number were seriously wounded. Although Frontier Constabulary is not directly linked with army, but public takes this provincial force as semi-army. Taliban accepted the responsibility for suicide bomb attacks and that they had done so to take revenge of Osama’s death, moreover they threatened to attack Military Academy and other training camps of army. 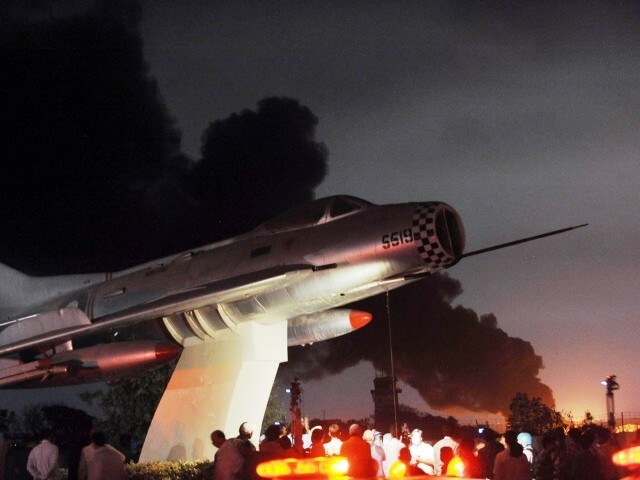 However, on the night of 22 May, in the way terrorists attacked Naval Air Base, this astonished everyone, was this attack also for taking revenge of Osama? WE Will discuss this later. Pakistan army and Pakistan itself are under wrath externally, and after operation of 2 May, armed forces are being criticized internally, than is this also the part of a chain to take revenge? On the other hand devoid of all international, diplomatic laws and moral values, America; who fought all of its so called war-on-terror by keeping Pakistan in the front, while military and political leadership of Washington accepts that without support from Pak-Army and ISI, US and NATO forces were not capable to face terrorists, after all this, statement from Chief of CIA that if they had informed Pakistan army or ISI about the Abbottabad operation, it could have resulted in failure. This is equivalent to attack over Pakistan army, moreover in spite of sacrifices from soldier to Lt. General Rank; the expression of distrust is not without any reason but part of a “Great Game” or planning. 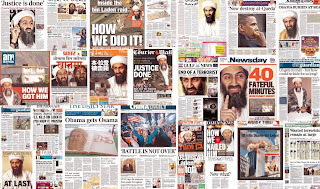 In this game under the cover of Al-Qaeda, through the so called war-on-terror imposed by subsidiary of Washington, i.e. UNO, the role of Pakistan army and ISI has been made doubtful on the international and national level just with one attack. In the history of last 63 years, either it was Gorilla war or formal war but such an organized attack has not been launched against Pakistan army. 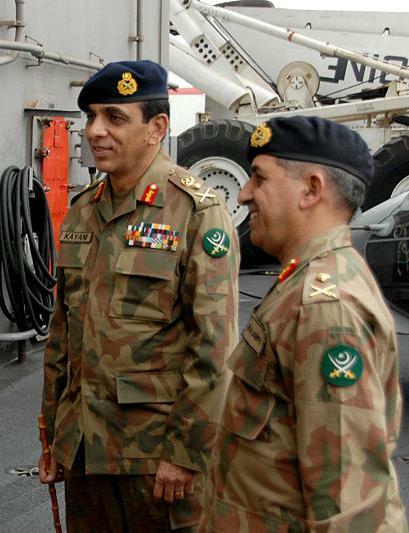 While world is aware from this fact that in so called war-on-terror imposed on the world just for American political and economical needs (which has been now converted into war for survival of Pakistan), most of the sacrifices has been given by Pak-Army, while on the other hand utilizing its professional capabilities ISI had defused many plans of terrorism in Europe ensuring the safety of the people of these countries. The third aspect of this situation is that not only Pak-Army has to face severe criticism internally, but also it has been brought under the trial. Is not this the same army, who in order to safeguard the lives of innocent people, first moved the people from Sawat to safe places before starting operation against terrorists, moreover afterwards in a very short time period not only our army crushed the terrorists but restored the law and order as well. 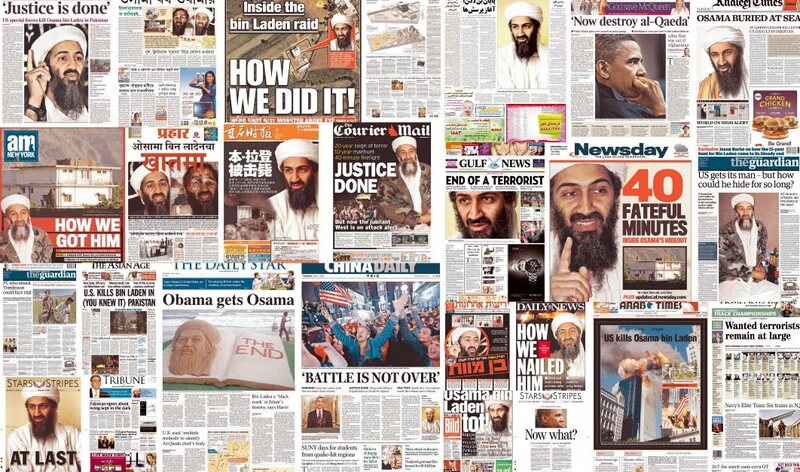 This is such a success, which even USA, in spite of all of her latest weapons and conspiracies could not achieve. This is the same Pakistan army, which wrote a new history while helping the victims of flood, and proved that not only in war but also in natural calamities every person of Pakistan army is ready to defend and safeguard their fellow countrymen. Due to uncountable incidents like above the respect of army had increased manifolds within the hearts of the public; this was unbearable for our enemies. United Satanic Triangle takes Pakistan army as a great hurdle in the fulfillment of their satanic plans, it is difficult for them to defeat Pak-Army in the formal war, and this could result in nuclear war or World War-III. In contrast to this weakening Pakistan army, by destroying its credibility within the eyes of Pakistani people is much easier. Look at the change in Indian behavior, a day before the Aman Ki Aasha was giving message of friendship and love, it was being said that we should forget disputes (most importantly Kashmir Dispute sucking blood out of Indian veins), the process of exchange of envoys was going on that suddenly after the Abbottabad operation all those Indian intellectuals, actors, politicians who were singing songs of Peace, started pouring out their poison of hatred against Pakistan. Indian defense minister announced that India would utilize her right of surgical strike against Pakistan. Indian electronic and print media started a new propaganda campaign against Pakistan army and ISI and claimed that Pakistan is center of terrorism. Old statements of Indian politicians were used as reference that India had already claimed that in spite of Afghanistan, Pakistan should have been attacked where Al-Qaeda and other terrorist organizations have safe heavens. In the other words Indians presented operation of 2nd May as their victory, Afghan President Hamid Qarzai also started supporting Indians, that after presence of Osama in Abbottabad, USA and NATO should attack Pakistan in spite of killing Afghans. 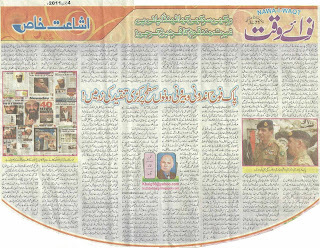 But after media trial of Pakistan army, demand from politicians for an inquiry and fulfilling the punishments against army proposed by the Hamood-ul-Rehman commission for war in 1971, (keep in mind that after the facts disclosed in the books written by Indian RAW, friends of Mujeeb and other Bangladeshi writers if a fresh inquiry is conducted by sovereign judicial commission its results will be much different from Hamood-ul-Rehman commission report and I think this should be done), suddenly Manmohan Singh changed the stance and made a clarification in Kabul that neither India is USA nor they have capability to conduct operation like Abbottabad, however as long as master mind of Mumbai attacks is under the protection of Pakistan the war-on-terror will be fruitless. Look at the united stance of Indian media and govt. over national issues, that no where it is being mentioned that Indian army and RAW is involved in terrorist attacks in Malegaon, Jaipur, destruction of Samjhota Express, the murder of Hemant Karkare in Mumbai attacks by on duty Indian army officers. Not only this the reporter who provided evidence that 3 wanted persons were present within India, and Pakistan demanded them after death of Osama was severely beaten by RAW terrorists and severely wounded. On the other hand in the crime of providing list of suspicious persons and raising voice against war crimes of Indian army in Indian Held Kashmir, an attempt to assassinate Arundhati Roy has been made by terrorists of RAW. Except Pakistan, the international community of intellectuals is protesting against this. However, let us come towards another aspect! After alleged inquiry of Abbottabad Operation, suddenly the interest of Indian and Jewish thin tanks from Europe and USA had suddenly increased in the results of this inquiry. No Pakistani can reject this decision of Parliament and General Kiyani had already announced that this inquiry will be held. But few lawyers from Pakistan having grip over International Law are expressing severe concerns over the results of this inquiry. Perhaps the reason behind this is the analyses over the internet that if this is proved that a state is failing against terrorism or willingly showing negligence in crushing terrorism, or some of the institutions are supporting terrorism than this becomes the duty of UNO and especially the affected country to take action against these terrorists. The final decision/clarification can be only given by persons having knowledge of international law. What we say is caution should be practiced while preparing report over this incident so that our enemies could not use it as evidence against us. However, after 2 May the US (United Satanic) media has severely criticized Pakistan army and ISI, and now they have started a propaganda campaign to raise concerns on international level about Pakistani nuclear assets after 22nd May. They are proposing that these nukes should be taken into custody, as Pakistani security agencies could not protect these nukes. The purpose behind the propaganda of this Jewish media is to push Pakistan to become a dependant state of Jews and Hindus. They are getting support from few traitor elements within Pakistan. Verily the attack of terrorists over Naval Airbase in Karachi is a big tragedy and had raised many concerns. However, this terrorist attack is not a usual suicide attack, in the past attacks, the purpose was to terrorize the public and destroy the morale of Pakistan army. However, the purpose of this attack was to destroy a very expensive Naval Aircraft, which had the capability to destroy and paralyze Indian Navy. Especially at the time of attack, the engineers from our closest friend China were also present there. If we look at the way in which this attack was planned, it is not possible for simple terrorists to plan and execute it; it was planned by experienced Commanders, conducted by commandoes that had been trained to effectively and rapidly destroying the target by utilizing the modern weapons. If this had been planned by Taliban than their leader should not have been killed like a pigeon in Abbottabad. Moreover, in order to successfully complete the operation terrorists should must have several times rehearsed the attack by making a model like PNS Mehran, as on 2 May it was told that Americans had did so before hunting down Osama. Moreover terrorist attack over PNS Mehran should must have been guided by satellite, as terrorists were aware of the movements within the compound. Our anchors are repeating this again and again that terrorists were being guided from the building, why they do not disclose that 5 Americans were present in the building obviously guiding the American commandoes (terrorists). After the Pakistan America relations has been worsened due to Abbottabad Operation, than suddenly the 22nd May tragedy happens, USA (United Satanic Alliance) President Obama issues statement that this incident shows that Pakistan will have to be with US in spite of all the disputes. Moreover, did you ever think that this attack is reaction of handing over Gwadar Port to China…?